← The Tokyo Art Book Fair! This little guy appeared on my desk at work yesterday as a belated birthday treat! My first time at my visit school since the day, and I can’t believe my lovely coworker remembered, let alone went to the effort. So cute, so delicious. 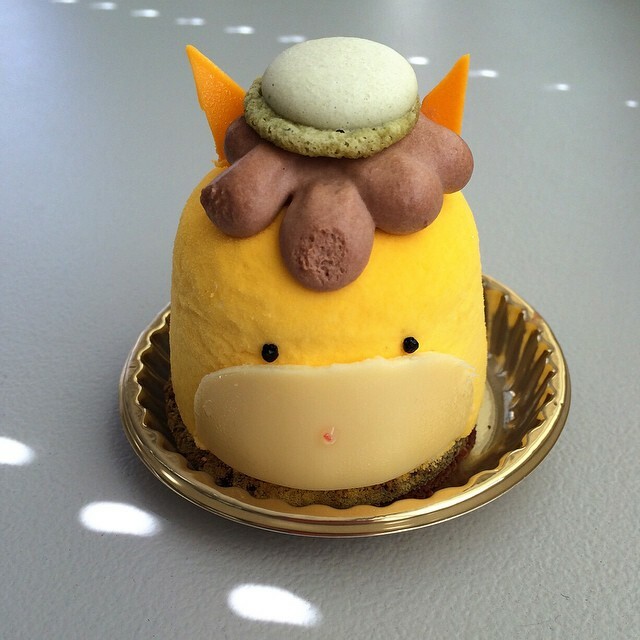 On a related note, I’m currently taking a Coursera course on Luxury Marketing, and the topic this week is “What’s Trendy in My Town.” It’s safe to say Gunma-chan is very trendy, with this little pony mascot currently ranked number one in the YuruKyara Gran Prix, the national cuteness competition for mascots. One thing that I really like about Japan is that while cuteness is often seen as childish in the US, it’s often embraced unabashedly here. Samantha Thavasa’s designer handbags include a Disney line, grown men wear stylish character shirts, and fabulous little cakes with raspberry mousse and macaron hats are available in fancy bakeries. Love it! Fun fact: Gunma-chan’s brains are delicious. 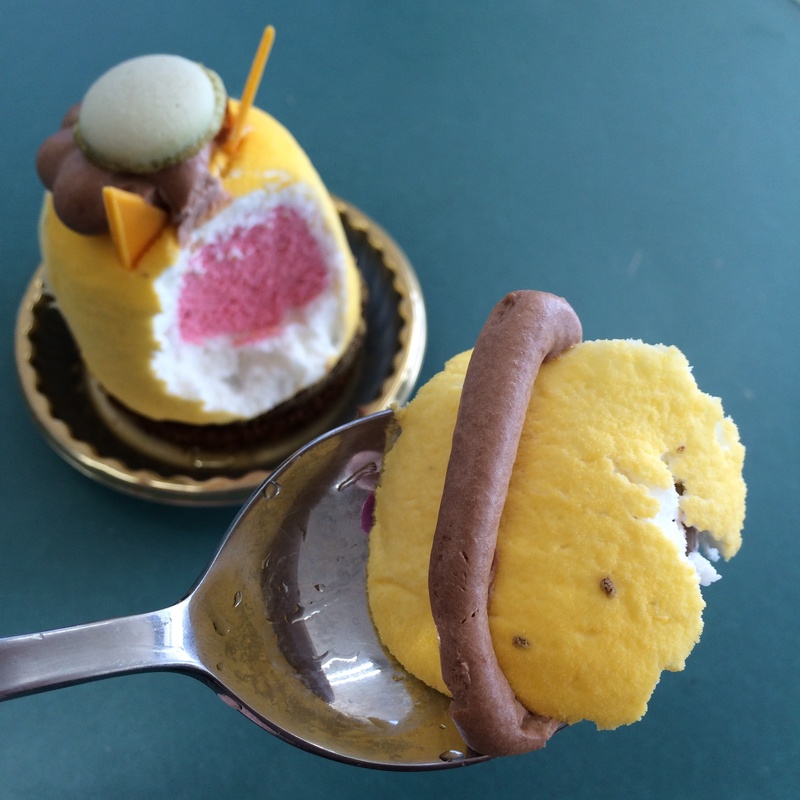 This entry was posted in Food!, Gunma, Japan and tagged adorable, cake, culture, cute, delicious, dessert, Gunma. Bookmark the permalink. 1 Response to Gunma-chan Birthday Cake! Well, Alice, I commend your honesty. I like a bit of cuteness, as you know, but I think a Grand Prix is a bit too much of a muchness. It feels to me like artificial innocence. And I think it has psychological roots in Hiroshima and Nagasaki.